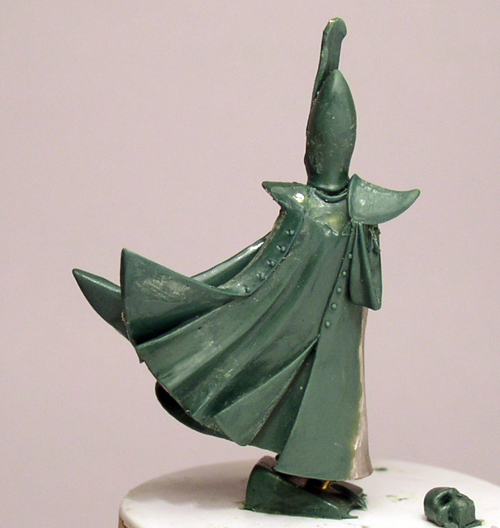 More work on the cape. Cape just needs a little cutting before being finished. And the right shoulder pad is done. 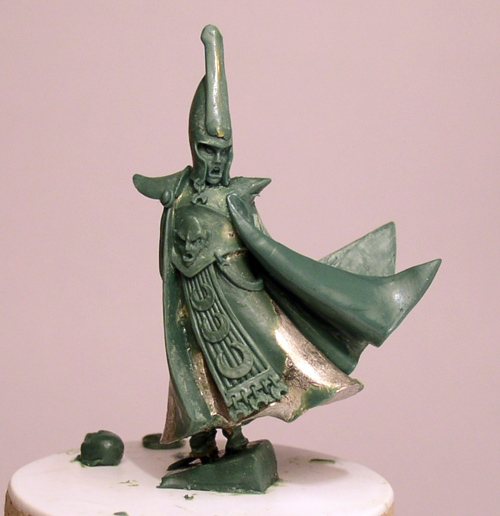 I decided to leave the shoulders plain and simple and let the details on other parts of the miniature speak.